Since you came to this website, you are obviously searching for an Edmonton personal injury lawyer online. It can be very confusing and frustrating to review multiple websites of Edmonton personal injury lawyers all claiming to be the best and promising to obtain the highest settlement for you! Some firms even make the unsupported and therefore unethical claim that they have obtained “Alberta’s Largest Injury Settlements”. A settlement is a private confidential agreement between two parties and a database in Alberta of injury settlements does not exist, so claiming to have achieved the highest settlements is dishonest and self-serving. We recently settled a $4 Million Traumatic Brain Injury case which is the largest settlement OUR firm has achieved for a brain injury victim, but we have no idea if this is the largest settlement for a brain injury in Alberta. What you really need is an independent review process that has already scrutinized the lawyers for you pointing you to a highly skilled lawyer and someone you can trust knowing that lawyer will work hard for you and always be honest with you. Fortunately, in Canada and Alberta there is such an independent review process. It is called a Queen’s Counsel appointment, designated as “Q.C.” for short. A Q.C. designation of a lawyer dates to the 16th Century in England. In Alberta, Q.C. applications are reviewed by a screening committee comprised of Judges and other lawyers. The Judges and lawyers make recommendations to the Minister of Justice and Cabinet of Alberta for consideration of a Queen’s Counsel appointment. The Q.C. designation is given to lawyers who demonstrate excellence in the practice of law as well as professional integrity and good character. It is a designation of superior achievement in many aspects of the law, sterling reputation and contributions to society in general. It is very difficult to obtain the designation of Q.C. That is why you won’t find many Q.C.’s listed in other Edmonton personal injury law firms. In searching for an Edmonton personal injury lawyer, review other websites and see how many lawyers have the designation of Q.C., an independent mark of excellence. In Alberta there are 9,867 active lawyers and of those lawyers only 41 lawyers are chosen every two years to receive the honour of Q.C. That works out to only 20 lawyers per year out of almost 10,000 active lawyers. 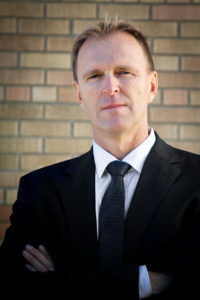 Brent Handel was chosen a Q.C. on December 30, 2011 after over 20 years as a practicing lawyer. If you need assistance with your serious complex personal injury or fatal accident claim, contact Brent Handel, Q.C. and rest assured that you will have access to top quality legal counsel to advance your personal injury claim.